More than 100 energy and facilities executives were interviewed recently to gauge how their firms are using technology and the challenges they face in realizing value. The research showed some in-depth insights from multiple industry sectors, but the responses came primarily from large enterprises with more than $500 million in annual revenue. The focus was on the direction of their facilities management strategies, what technologies they are deploying to optimize energy and facilities processes, and the top barriers to realizing expected value from these deployments. Most of these organizations have made progress in deploying energy submeters and sensors, with 89 percent of interviewees deploying them across multiple facilities or the majority of their sites. The technology is key for such firms to obtain a clearer picture of how energy dollars are being spent behind their main meter so they can identify targeted efficiency projects or how to shift energy usage throughout the day. 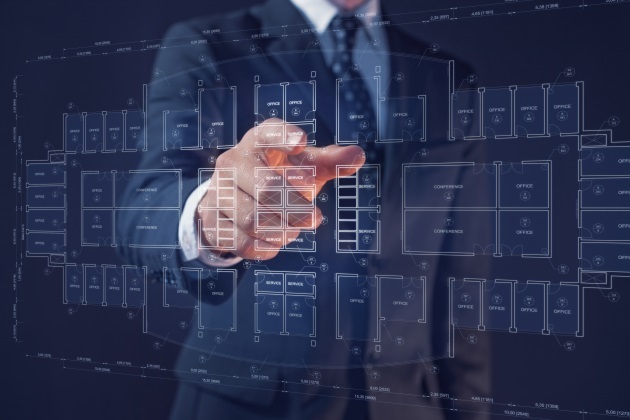 Many companies are already using software solutions to manage different aspects of real estate and facilities data, with the research here showing that nearly two-thirds are using mature solutions, including computerized maintenance management systems (CMMS) across some or all sites, and more than 50 percent use HVAC FDD software. The first savings were from lighting projects from switching from fluorescents to LEDs. The trend now is moving to energy-efficient lighting with sensors and controllers for more savings. The research found that 63 percent of firms now have advanced lighting controls installed at some sites. For those that do, the results are tangible. For example, a pilot project implemented in 10 federal office buildings showed about a 50 percent reduction in lighting energy usage through LED retrofits and occupancy sensor controls. Aside from those mentioned, most facility managers are experiencing benefits, including improved process efficiency so they can focus on more strategic and value-added activities; maintaining comfort levels in buildings; and realizing a return on investment. The majority (70 percent) of facilities department leaders said they feel they have not fully realized value from their investment in technology. Additionally, 56 percent of respondents said they have had limited success in realizing the value of technology investments, meaning they are struggling to maximize efficiency savings because of a focus on near-term wins. Alternatively, 14 percent say they have struggled to derive significant value from facilities management technology or to develop a convincing case to earn budget approval for energy and facility efficiency projects. Top barriers that firms face in getting value out of the technology are many, but include: siloed data and scaling up deployments from different sites and systems has not been integrated. This can result in “lost” insights, as facility managers are not able to benchmark performance across all facilities. Another barrier is lack of staff bandwidth and in-house expertise. Most organizations interviewed set a two- to three-year payback threshold for capital investments, which is enabling many LED lighting projects, but has limited investment in more ambitious programs. Some organizations are linking success between an energy management program and broader organizational goals, such as enhancing occupant comfort and the patient experience. For example, the OhioHealth Mansfield Hospital ran a series of upgrades to its chilled water plant using energy performance contracts. This project delivered energy savings while also improving the thermal comfort of the patients and staff.